(L-R): Barry MacGregor, Donna Goodhand, Maurice Good, Brent Carver, Mary Ann McDonald, David Dunber and William Webster in a scene from The Prisoner of Zenda (1983). YPT founder Susan Rubes (front) graces the cover of Life Magazine in a 1947 feature on young Broadway actresses. 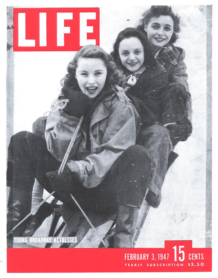 In the Fall of 1966, renowned Toronto Star theatre critic Nathan Cohen reported, “Susan Douglas Rubes has formed a new venture, Young People’s Theatre (YPT). Her first production, aimed at the 3-to-7 set, is The Looking Glass Revue to be presented weekends at the Colonnade Theatre”. 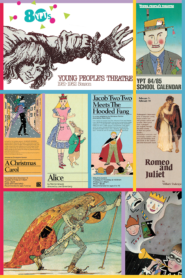 Other YPT productions soon followed, including school tours of plays by Ionesco and Chekhov, weekday school performances and classroom visits by performers. 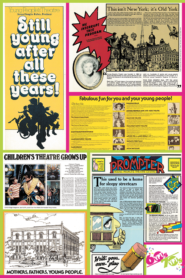 From the very beginning, Young People’s Theatre established its dedication to professional productions of the highest quality – classic or contemporary – from Canada and around the world, written just for children and the people who care about them. 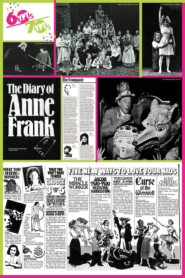 YPT founder and producer Susan Rubes worked hard to develop quality new Canadian plays to stand alongside the best from around the world and was often quoted as saying “Only the best is good enough for children”. 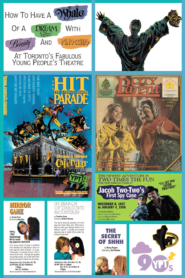 By the mid-seventies, YPT had become a vital part of a vibrant Toronto theatre community, producing plays at the St. Lawrence Centre, the Ontario Science Centre, and the Firehall Theatre in Toronto. 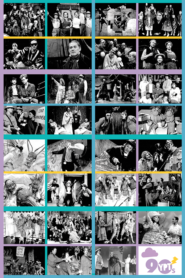 In addition, the company had five plays touring in schools throughout the province, including one in French; a touring production of Inook and the Sun in the UK; co-produced plays with Theatre-in-the-Dell and Toronto Arts Productions, and also sponsored special high school performances of plays produced by Toronto Workshop Productions. 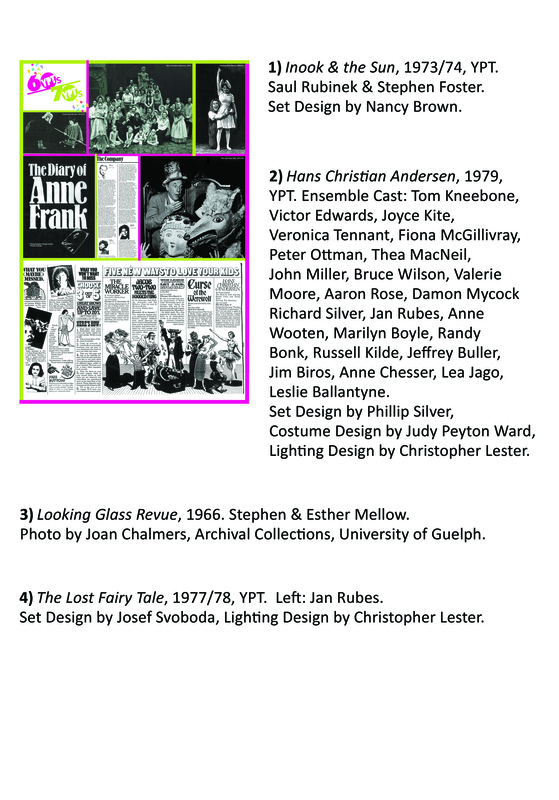 YPT opened its first production in its own building on December 22, 1977 – an adaptation of Laterna Magika’s The Lost Fairy Tale. 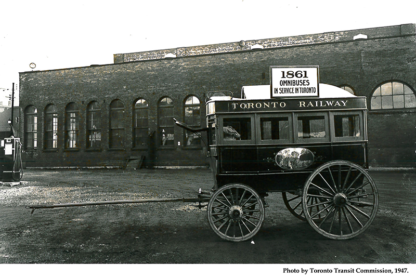 This new, permanent home at 165 Front Street East once housed the horses that pulled the Toronto Street Railway Company’s streetcars in the late 19th century. 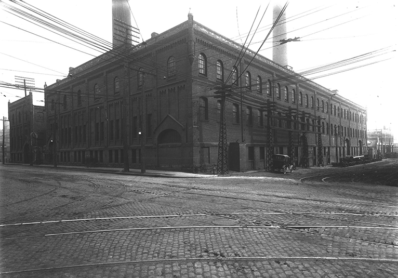 When the horses were retired in favour of electric power in 1891, the building became an electrical generating plant and remained that until 1906 when the company began purchasing power from Niagara Falls. In later years, the Toronto Transit Commission used the building as a warehouse before leaving it to sit empty and marked for demolition for years. 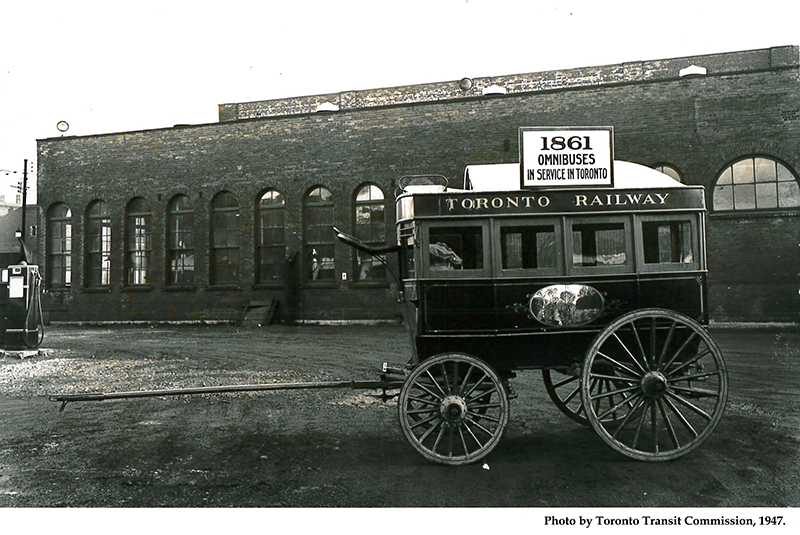 Omnibuses, pulled by horses, were used by the Toronto Railway Company (TRC) beginning in 1861. This vehicle was built in the 1870’s and was part of the city’s earliest form of a transit system. The YPT building was erected in 1883 as a stable to house these horses. Zeidler Partnership Architects renovated the existing building and the interior space was converted into a main theatre and a smaller studio space. The Toronto Historical Board awarded YPT the Award of Merit for its imaginative and sympathetic treatment of a landmark that might otherwise have been destroyed. The building’s industrial past can sometimes provide an interesting context for plays, as with Julia Tribe’s set design for Oliver Twist (1996-97), which evoked Victorian times and the Industrial Revolution. Over the years, the St. Lawrence development grew up around the new theatre, and the theatre found itself in the heart of a distinctive and vibrant family neighbourhood. In 1979-1980, Ms. Rubes moved to CBC Television and Richard Ouzounian took over as Artistic Director for one season. 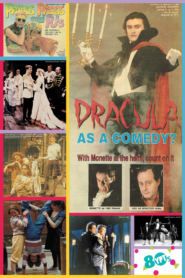 In 1980-1981, Peter Moss moved to YPT from the Stratford Festival for his first of eleven seasons as Artistic Director. Mr. Moss was responsible for further renovating the building to accommodate a growing audience of families and schools: the seating in the Mainstage was increased from 300 to 468, a new sound system was installed (including a system for the hearing-impaired), and administrative, box office and backstage facilities were expanded. The 1991-1992 Season saw Maja Ardal take over as Artistic Director. A well-known stage and television actress, she brought with her several seasons of involvement with YPT as actor, director, and Associate Artistic Director. Ms. Ardal continued YPT’s strong commitment to the development of new Canadian plays, and introduced regular and ongoing new play workshops. Her other innovations included the WordPlay Festival play writing competition for teenagers, and the formation of an active Community Advisory Group. The renowned Drama School, in operation since the early 1970s, expanded from its downtown base into North York, to better serve the Greater Toronto Area. In the spring of 2001, Artistic Director Pierre Tetrault and Managing Director Nancy Coy, along with the Board of Directors, announced that YPT was the recipient of a generous gift of $1.5 million. The donation was a gift from Mr. Kevin Kimsa in honour of his mother, Mrs. Lorraine Kimsa for her lifelong dedication to community theatre. In acknowledgement of this gift, YPT was renamed Lorraine Kimsa Theatre for Young People until July 2011, at which time it returned to its founding name, Young People’s Theatre. Allen MacInnis took over as Artistic Director of Young People’s Theatre in 2002 and was joined by Executive Director, Nancy J. Webster in 2004. 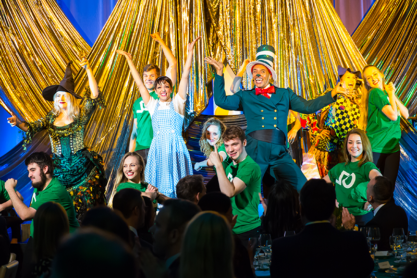 During the company’s 40th season, they celebrated by establishing the Education & Participation Department, building on existing educational programs and establishing bold new initiatives. The goal was to highlight the inextricable link between the company’s excellent professional productions and its innovative arts education – and to bring both streams under one artistic vision. That vision, to have a positive and lasting impact on children’s social, emotional and intellectual develop through theatre, is expressed in the phrase learning is at the centre of everything we do at YPT. YPT Alumni Steffi DiDomenicantonio as Dorothy and Thom Allison as The Cat in the Hat at YPT’s 50th Anniversary Gala. In 2014, The Ada Slaight Education Centre at YPT was launched courtesy of a $3 million gift from the Slaight Family Foundation. YPT increased the reach of its Education & Participation programs and expanded its partnerships with community agencies, focusing on early learning, newcomers, shelters, and children in care. In addition, its Drama School spread its reach to four locations in the City (downtown, North York, Etobicoke, and now Scarborough). 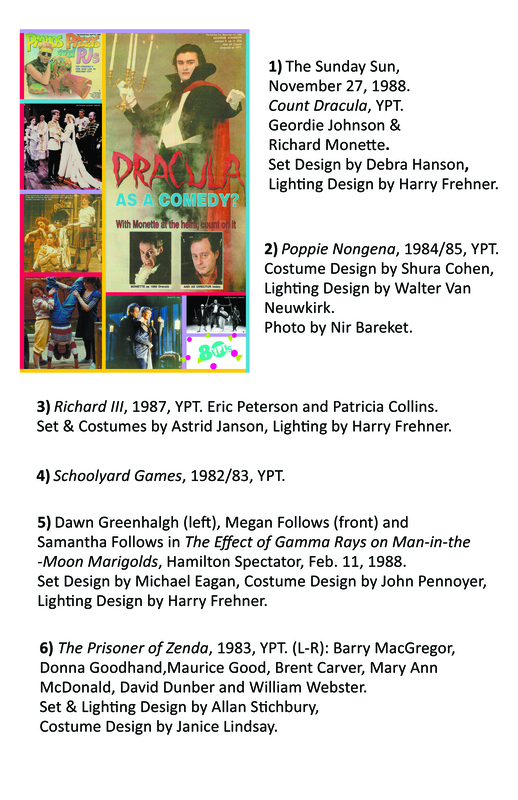 Now, after 50 years, YPT is bursting at the seams with highly engaged audiences, bustling drama school classes, strong community partnerships, and innovative in-school programming. Today’s YPT enjoys a reputation for deeply meaningful experiences for artists, volunteers, staff, educators and, above all, young people. 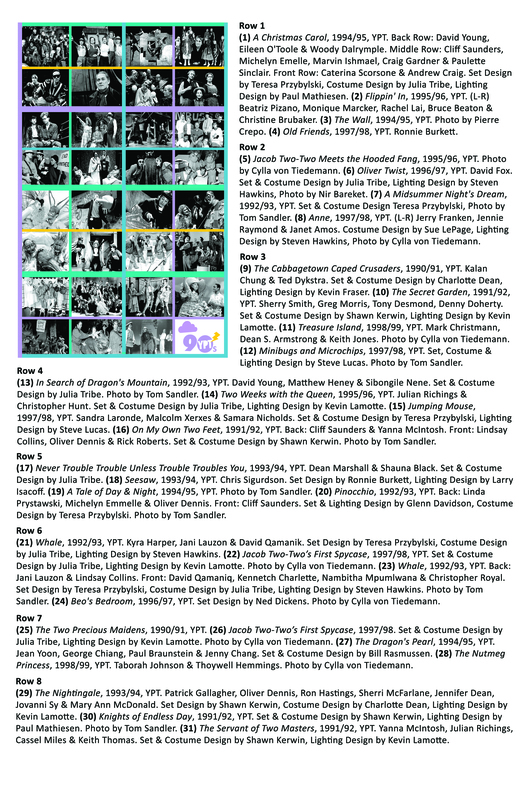 from its inception in 1966 to 2018.